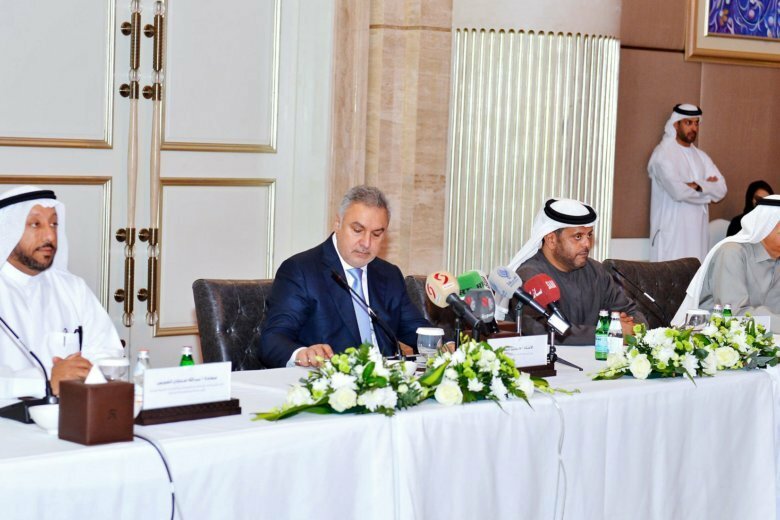 BEIRUT (AP) — The United Arab Emirates hosted a Syrian trade delegation led by a businessman and lawmaker who has been on the U.S. Treasury sanctions list since the country’s civil war erupted in 2011, UAE state media reported Tuesday. The meeting marked the latest manifestation of a changing regional policy toward Syrian President Bashar Assad’s government, which is seen as having largely won the country’s destructive civil war. The high-profile meeting comes weeks after the UAE reopened its embassy in Damascus for the first time in seven years __ a break with its U.S. ally, which shuns restoring ties with Assad’s government. Bahrain’s embassy followed suit the next day. Jordan’s Foreign Ministry announced Tuesday it had appointed a diplomat to serve as deputy charge d’affaires at its embassy in Damascus. Jordan reopened its border with Syria reopened to trade in October, after years shuttered by war. The UAE’s state-run WAM news agency said the private sector forum launched Sunday in Abu Dhabi was meant to “enhance” commercial ties between Emirati and Syrian businessmen. WAM said Mohammed Hamsho led the Syrian delegation. Hamsho is on the sanctions list for supporting Assad and his brother, Maher Assad, who Washington accuses of playing a leading role in human rights abuses in the war. Emirati and US officials didn’t immediately respond to request for comment. On Monday, the European Union announced it was adding 11 businessmen and five companies to its list of Syrians under sanctions for backing Assad’s government. Among those were high profile Syrian businessmen and lawmakers, including Syrian entrepreneur Samer Foz, who emerged as a leading Syrian businessman amid the civil war. He and other businessmen on the list are involved in a controversial multimillion-dollar joint venture with Damascus Cham Holding for the construction of Marota City, a government-backed luxury residential and commercial development in the capital Damascus. Monday’s move in Brussels means the EU sanctions list now includes 270 people and 72 “entities,” which are usually companies, organizations or agencies. The EU began imposing sanctions on Assad and his supporters in 2011. They are reviewed every year.